I have tried almost every single mascara by Maybelline. If you all don’t know, Maybelline was actually one of the first brands I began using when I started wearing makeup. I just thought it was an amazing brand to begin with considering I was still young back then. I think it still remains one of my favorite drugstore brands, and if you’re new to makeup, I highly recommend buying their stuff. The products I would purchase most from Maybelline were Babylips and their mascaras. This was mostly what I would wear anyways, since I was still young. 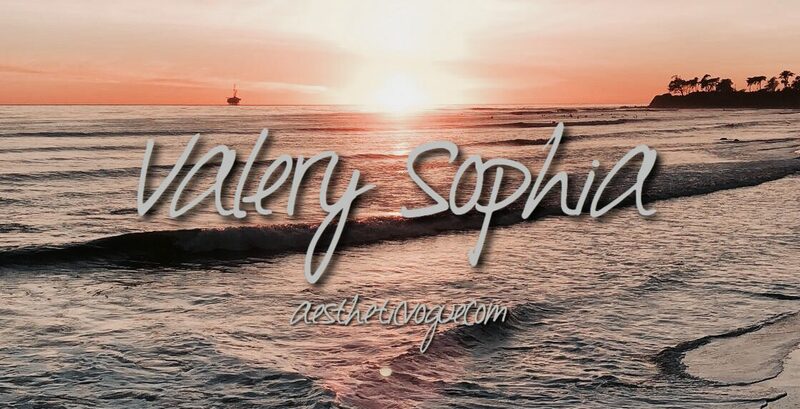 Over the years, I’ve tested quite a couple of mascaras and decided to do a review for you guys, and recommend which ones I believe are the best. Okay, this is probably one of my favorite mascaras ever. This is my go-to mascara and I always use it whenever I wear makeup. This is very similar to The Rocket which I also absolutely love. This one makes my lashes sooo long, and it’s also not clumpy. It lasts all day and doesn’t smudge, which can be a problem with other mascaras. I’d give this a 5/5. I love this mascara, it’s actually one of the first mascaras I’ve ever used and has remained one of my favorites. It makes your lashes long and adds so much volume, giving it the whole “false eyelashes” look. It’s not really clumpy and it lasts all day. It’s also super easy to apply. I’ll also give this a 5/5. This mascara is great for achieving volume and making your eyelashes look thicker. It also provides length to your lashes. I really like this mascara and it gives off a similar look to The Rocket. I would definitely repurchase this. 4.5/5. I really like this mascara for lengthening my eyelashes and whenever I’m trying to achieve a “spider leg eyelash look.” It really makes your eyelashes look a lot longer and it’s also very easy to apply to both upper and lower lashes. It doesn’t give as much volume as I’d like but it’s great when you just want to focus on the length of your eyelashes. The wand is curved so it makes it easy to curl your eyelashes as you’re applying the mascara. The thing I like about this mascara is that it’s super black and it lengthens your eyelashes. It also comes in a really cute pink and red container. The con of this mascara though, is that it kinda smudges when you put it on and takes longer to dry. The consistency I’d say is a bit more wet than other mascaras I own. I like this mascara but sometimes I find it can be a bit clumpy when applying more coats. It lengthens while giving it a natural look but I wouldn’t say it’s the best. This has a really flexible and sort of bouncy wand. So when you hold it while applying mascara it’s not very firm. This can be helpful when applying it in different angles. It lengthens the lashes giving it a similar effect as The Falsies, but this one separates them more and doesn’t make them look clumpy. I think it’s good if you want a natural look without clumps. Although, you do have to be careful when applying it because it may smudge on your eyelid or it can poke your eye due to the wand. Now this is a classic. This mascara has been out for so long and I’m pretty sure everyone has tried it out. This one definitely is the best to give your eyelashes a whole natural look. It’s not clumpy at all. It’s not very good for length or volume but if you want a mascara that makes your eyelashes look natural, this is the one. It’s also very easy to remove. I don’t reach out for this mascara as much because I prefer to give my lashes a whole dramatic effect instead. Be sure to check out my last blog post. Click HERE. 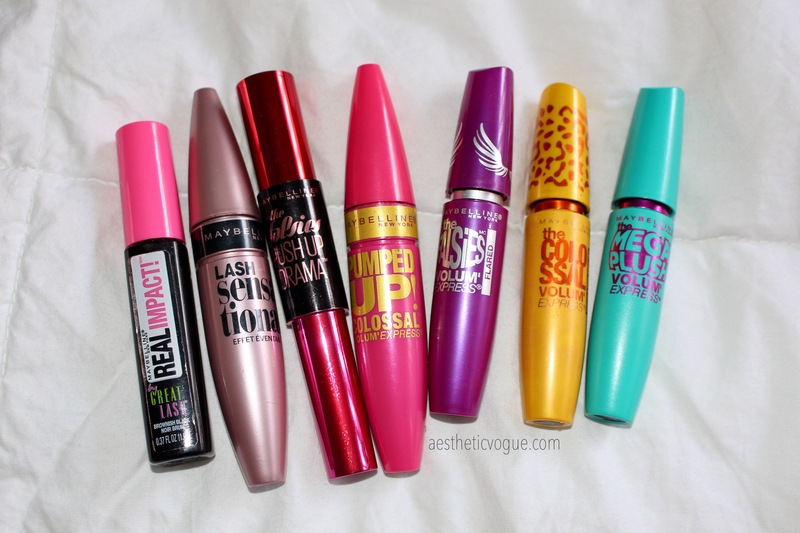 They’re probably one of the drugstore brands that have the best mascaras! The Lash Sensational is my sisters favorite mascara! I feel like the first 3 are the best. For me personally, I don’t experience flaking but then again my eyes also don’t get watery. Also, they may start to flake once you’ve had them for a long time. So make sure to throw them out every 3-4 months! ah sensational has always been my favorite! any ideas on tattoo cover up make up? I’ve heard great things about the Nars concealer! I know you could powder it, then put high coverage concealer or foundation, and set it with powder, blending a lot! Will have a look if I can get some Nars concealer. I did the powder base then foundation but still peaked through. thanks for the advice though. Yes! I love maybelline mascaras! I usually always grab a mascara from maybelline! I love the rocket mascara. It’s one of my go-to mascaras! Love this. I really need to repurchase it! It’s one of my favorites. Great post and thanks for stopping by my blog 🙂 I totally agree with you – love Maybelline mascaras and Lash Sensational is my favorite! I love the purple and a yellow ones. Those are amazing. I have super short and thin eyelash, no other brands have worked well on me except Maybelline ❤️ super love this brand. And ur review make me wanna buy all the variant! I think it may be one of their best products! For the price they’re really good! It’s really awesome! I’m actually in need for a new one. Definitely have to repurchase it. Aww, it must be a glitch going on. I absolutely love the Maybelline Falsies Push Up Drama! I swear by it! My eye-lashes are barely there and this mascara helps to elongate and thicken them. It’s always my go to when i don’t feel like wear false eye-lashes. i love the falsies one! Which would you hands down have to recommend? the lash sensational is definitely my favorite! I always buy it again. I honestly have a whole mascara routine so I use like 3 but that is one of the must haves.